It has been so nice to spend this week with family. I got to celebrate my Christmas birthday TWICE which is just about unheard of...my birthday normally gets absorbed into the holiday season. AND...I've been knitting up a storm! Most of my December was spent working on knitted gifts once I realized that my Dad was in need of a warm scarf. 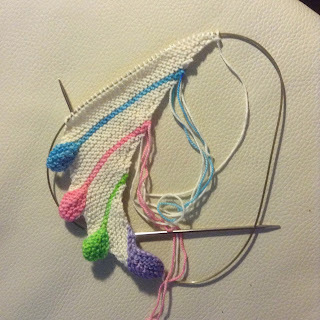 I already had an ambitious project underway for my sister so that meant "much knitting" for me. The Leftie scarf by Martina Behm was for my sister. I'm surprised how much I enjoyed this project (I'm normally not a fan of garter stitch), but don't attempt it unless you're ready to weave in LOTS of yarn tails! I wove the tails in as I went. It helped keep me motivated. 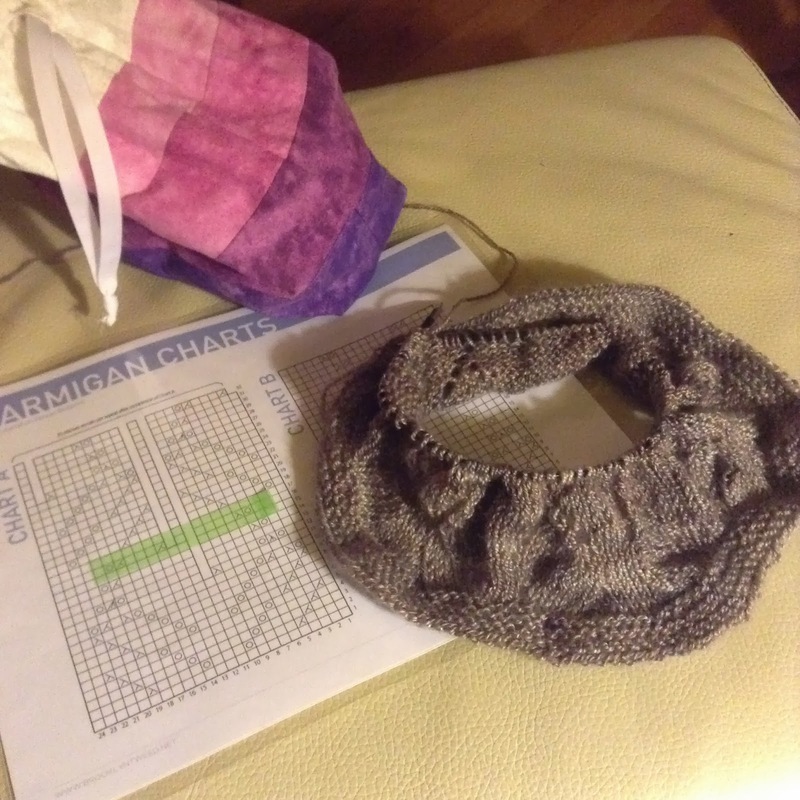 The Ptarmigan Cowl (also by Jared Flood--I am absolutely in LOVE with all his patterns!) has yet to be given away...but it is so lovely that I snagged yarn for three more next year when MissBabs put Sojourn on sale. It's an amazing yarn...cashmere and silk...so soft that no one would dare call it "itchy." More photos to come of this one with its new owner...I still have three or four hand-knit gifts that need to meet their new owners post-Dec. 25. The last crafty stop of the trip will be Quilting Adventures in Richmond, VA on the trip home...my plan is to match a few of my new prints with some solid shot cottons for a new circular needle case...yay! I'm off to knit some while reading a book...it's my newest crafty trick. eBook plus knitting equals doubly-productive downtime. Happy crafting y'all! Beautiful knitting Aubrie. Your sister and dad are very lucky - and warm now! Enjoy the rest of your break and Happy New Year! I especially love your dad's squishy, cozy scarf! All of your knitting projects are so lovely. Can't wait to see what you're making next!